I love food. Unfortunately, like most people, I love all the wrong kinds of food. Don’t get me wrong. I really do love vegetables and fruit. Healthy food is great, and I actually do like the way most of it tastes. But realistically, my desert island pantry would be stocked with chocolate chip cookies, potato chips (likely in some variety of cheese flavour) and ice cream. Yet, for all the evils these things present, I’ve discovered that there are some very simple replacements (yes, replacements) that can actually save me from myself. The first thing, though, is to not buy them in the first place. If they’re not in the house I’m not tempted to eat them. I’ll pick some up if there’s a special occasion coming up that needs munchies but that’s it. If I use the “company’s coming” excuse to stock up, the supplies won’t last long enough to make it to the next visit. Let’s face it…I can plow through a bag of Chips Ahoy like they’re a can of Pringles. Anyway, the solutions as I said are pretty simple. First off, there are the chips. Mostly the reason I eat chips is because I like them. But really, it’s that crunchy, salty thing that really gets you. Now, a piece of cheddar cheese on a whole-grain cracker should do the job; and in most cases it does. But when you need to SNACK, nothing beats a jar of mini dill pickles. Seriously. Get a jar of these things and munch down a few. They’re very low calorie and have almost nothing to them except a bit of fibre. You do want to watch them for salt, so stay hydrated. Even so, they’re tasty and munchy, so go to town. You want to look for a basic dill. Sweet pickles have too much sugar added. Something with garlic is nice, but maybe hold off until the day after your big date. To replace the cookie craving, which is really just my sweet tooth going off on its own, I opt for apples first and foremost. So, this would sweet + crunchy, I guess. But where those don’t quite do it, I’m happy to report that every major candy maker has now released bars of nothing but dark chocolate. Yup…you can get that 70-85% high-polyphenol (read “fat fighting”) dark chocolate in a simple bar form. Bust off a square or two, and you not only defeat the soul-strangling need for cookie mayhem, but you actually boost your metabolism at the same time! Plus, it’s a powerful anti-oxidant. Nice huh? Finally, I owe my ability to curb ice cream binges to my daughter. She’s here with me for half the week, and ice cream is her bedtime snack. Now, before you go off on a tangent about that, she doesn’t get treats at any other time, and is a fiend for broccoli and fruit. She really does eat quite a healthy diet. So, since she’s three, a scoop of vanilla ice cream as an evening snack is a good bit of bonding. 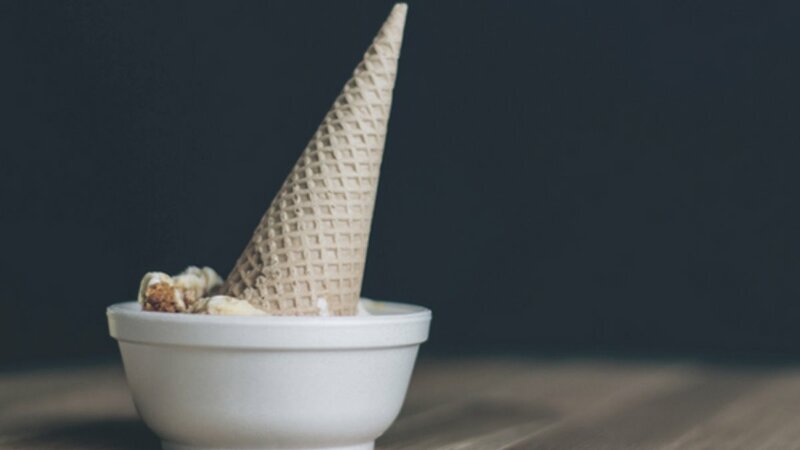 I do go for ice creams that are lower in sugar, and made with all-natural ingredients. Because she’s only three, the amount is quite small. And she insists that I share it with her. So my ice cream intake is only a portion of a serving shared with a three-year-old. In total it’s maybe a few tablespoons. But that part of the sharing ritual we have has actually served to stop me from getting myself a traditional half-pint at a time as an evening snack. And when she’s not here, I don’t scoop anyway. 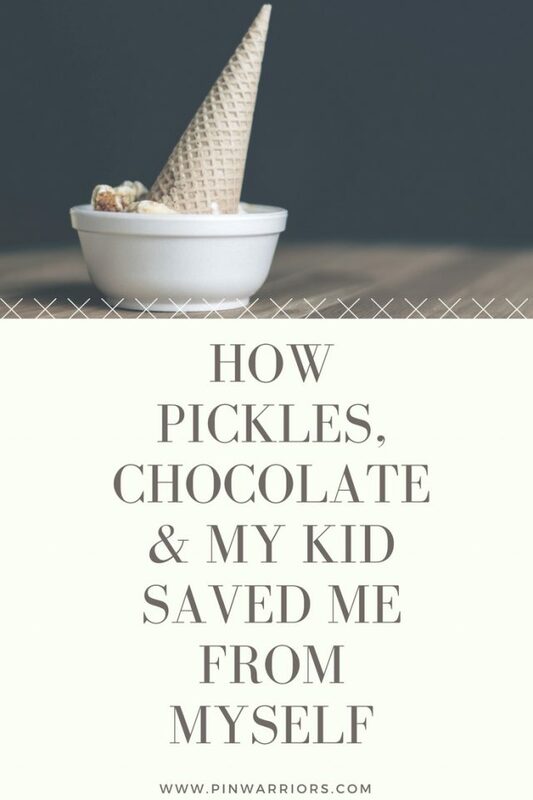 So, in summary, I’ve been able to replace cookies and chips with chocolate and pickles, and sharing my daughter’s ice cream has virtually eliminated that habit from my diet as well. Solutions to our bad eating habits are often right in front of us…we just have to take advantage when they reveal themselves to us.